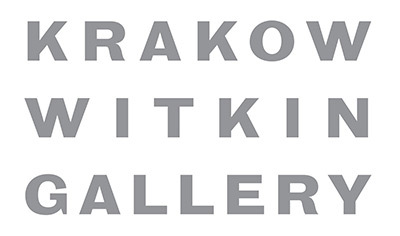 Barbara Krakow Gallery proudly announces its new name: Krakow Witkin Gallery. Barbara Krakow and Andrew Witkin have worked together for 18 years, the last 14 years as partners. The change in name makes public the long-time partnership that has been and will continue to be complementary, dynamic and rewarding. The gallery will continue its energetic, educationally-minded, diverse and aesthetically-consistent programming. The coming season will see numerous exhibitions that are both consistent with the gallery's longstanding programming and continue to present new and stimulating juxtapositions. The fall will see a group show featuring works by Richard Artschwager, Allan McCollum and James Castle, a solo show of Tara Donovan's recent works and a group show with works by Carl Andre, Eleanor Antin, Hanne Darboven, Gilbert & George and Sherrie Levine. We will be celebrating the release of Mel Bochner's Catalogue RaisonnÃ�Â© of Prints, as well as Sol LeWitt's Wall Drawing Catalogue RaisonnÃ�Â© (with which we assisted Artifex Press). Further exhibitions and scholarly projects are in the works, so please do stay connected as the gallery continues its mission.